1. Scrub away the sticky! You know the inconvenient price tag residue left on mirrors, plates, and cups? Apply 1–2 drops of Lemon essential oil on a cloth and wipe away the gunk. Let Lemon oil save you from a sticky situation! 2. Let your locks shine! Shiny hair, do care. Warm a few drops of Cedarwood essential oil in your hand and massage your scalp for healthier-looking hair. 3. Pamper your pretty self. 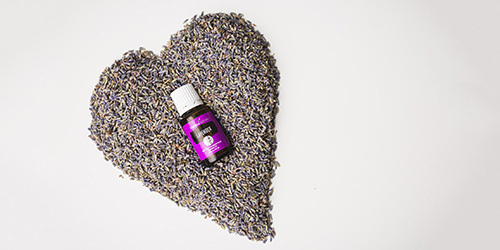 Create a spa-like atmosphere with the calming aroma of Lavender essential oil. Mix 1 cup of Epsom salt and 4 drops of Lavender oil in your hot bath, then lie back and relax. 4. Invigorate your home cleaning. Add a few drops of Lemon essential oil to your naturally derived floor, window, and surface cleaning solution for a fresh, clean aroma. Do not use Lemon oil on granite or stone, as it may etch the surface. 5. Skin for the win! Incorporate a drop of Rose essential oil to your evening moisturizer to support healthy-looking skin. Try using other essential oils, but avoid applying citrus ones like Tangerine essential oil before spending time in the sun due to photosensitivity. 6. Scrub-a-dub in the tub. Wash away your work day with a homemade body scrub. All you need is coconut oil, Epsom salt, and Lavender essential oil. Mornings after a good night’s rest are the best! 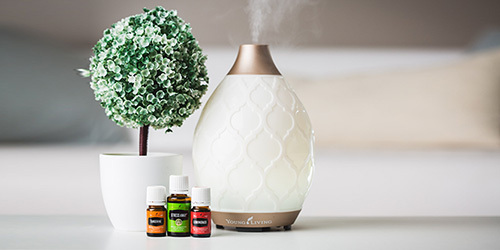 Diffuse essential oils like Lavender, Vetiver, Cedarwood, German Chamomile, and Angelica to help create a calm, peaceful sleep. For more nighttime routine ideas, visit our blog post here. 8. Support a healthy lifestyle. Not only does Grapefruit Vitality essential oil electrify taste buds, but it also contains antioxidant properties* and can support weight management! 9. Breathe in, breathe out. Relax, we’ve got R.C. essential oil blend! Diffuse R.C. 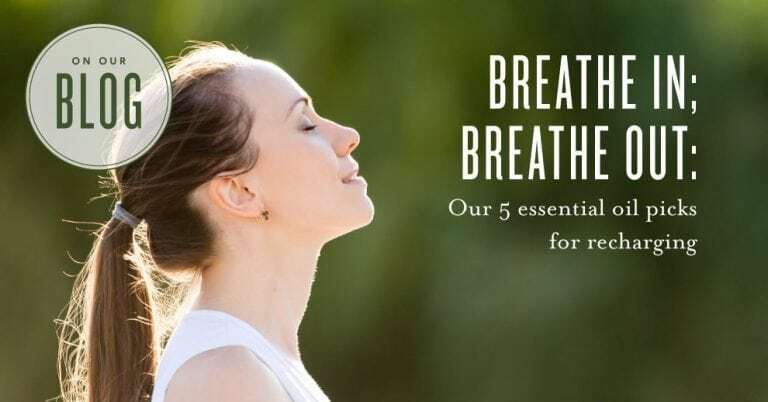 to support the feeling of normal, clear breathing and to promote restful sleep in a stuffy environment. 10. Unwind in your shower. When Peppermint and Eucalyptus Radiata essential oil are infused in a hot wash cloth, you can enjoy a calm, invigorating scent. You may even be too relaxed to let off steam of your own. Tea Tree essential oil reduces the appearance of blemishes while maintaining healthy skin and nails when applied appropriately. 12. Boost your immune system. 13. Elevate life with flavor and function! Want to elevate your flavor in the kitchen while cleansing your digestive system to boot? Add a small amount of Oregano Vitality essential oil over your favorite Italian dish. Eating yummy pasta and supporting digestion? * It’s hard to top that! 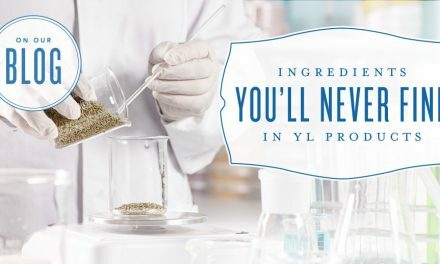 Use essential oils to their fullest potential! 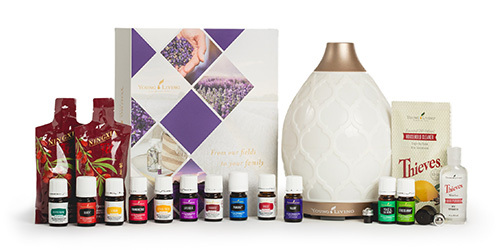 Diversify your essential oil uses to gain the ultimate experience.